acefoto has no other items for sale. A super-telephoto lens that delivers smooth action and sharp pictures is what you will get with the Nikon Nikkor Ai-S 400mm f/3.5 ED IF camera lens. This classic model was first introduced in the 1980s to be used with a 35mm film camera, and it is still a great choice for 35mm enthusiasts. This is a manual focus lens, so if you are accustomed to the autofocus feature of modern 35mm cameras, this will let you learn some new tricks. It can also give you a fun opportunity to knock the rust off your old photography skills.These Nikon Nikkor Ai-S 400mm f/3.5 ED IF lenses have a quality steel body that gives them heft. They are 134mm in diameter and 304mm long with a weight of 6.2 pounds. They use the Nikon F mount for Ai-S 35mm cameras. These Nikon f/3.5 lenses also have a tripod socket collar that rotates through 360 degrees, so you can easily shoot from a tripod in either the horizontal or vertical plane.The Nikon Nikkor 400mm f/3.5 ED IF is a prime lens with a focal length of 400mm. The “IF” stands for internal focusing, which means that the length of the barrel does not change when it focuses. The optics are made up of eight elements in six groups. The front and second elements are made of extra-low dispersing glass, which is the “ED” in the product name. This glass decreases chromatic aberrations and gives you very crisp images. The action of this manual focus Nikon f/3.5 lens is very smooth. It flows through the range of settings, from its minimum effective distance of 4.5 meters to infinity.This Nikon Nikkor Ai-S 400mm f/3.5 ED IF telephoto lens excels at photographing distant action using available light. It is ideal for sports and wildlife photography, and it is also a great choice for fashion shows, theatrical productions, and breaking news. One of the features that's very useful when things are happening quickly is the focusing ring that can be pre-set. You can focus on a particular place on a sports field, a fashion runway, or a spot in a crowd and peg that focus setting. Then you resume taking other photos, and when the action returns to that spot, you can quickly turn the ring until it clicks into the preset position, ready to take a perfectly focused picture.The large maximum aperture of f/3.5 on this Nikon lens lets you take great photos in low-light conditions. 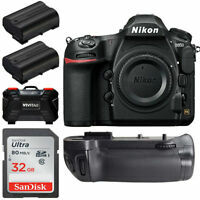 Combined with a fast 35mm film, it is an ideal choice for photographing indoor sports. In brighter lighting conditions, you can adjust the aperture down to a minimum of f/22. The Nikon f/3.5 lens also has a built-in hood to let you counter the effects of extreme light. If you want to use a filter to overcome situational conditions or just to create special effects, you have two options. This Nikon Nikkor Ai-S 400mm f/3.5 ED IF lens has a rear drawer that can accept 39mm screw-in filters, or you can attach 122mm filters to the front. If you have the patience, this lens will serve you very well. Aesthetically, this lens is about as beautiful as the pictures it takes. This huge, heavy, manual beast will reward you with razor sharp pictures if you take the time to discipline yourself with it. With Live View on modern cameras you can dial in this lens' razor thin DOF with little difficulty. 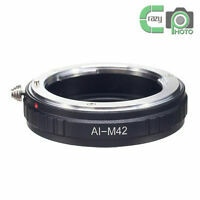 A good copy of this lens should allow you to move the super smooth focus ring with just your pinkie finger. I highly recommend this lens because of it's value. A NIKKOR 3.5 prime 400mm with ED glass for generally less than $1000 is an incredible bargain. 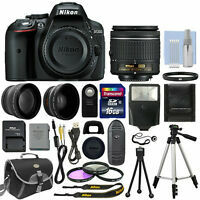 This is a no-brainer especially for still subjects and single-frame astrophotography. Great quality for much less money than the af version. This is the good old feel and build quality from the Nikon AI-S lenses. The 400mm f3.5 is manual focus which I like best. I also have an AI copy of this lens and I really like the output. Mostly I photograph urban city- and townscapes, and with this lens I reach far and the images look good to me! I like to take time before making the exposure, so manual is perfect for me. This lens is really sharp. I was surprise it's sharper than my 200-400mm. I'm so glad I bought it. 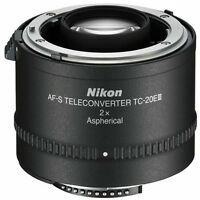 One of the best Nikon telephoto lenses. Its a professional quality lens. The lens is in a very good condition, really sharp, avery nice bokey.